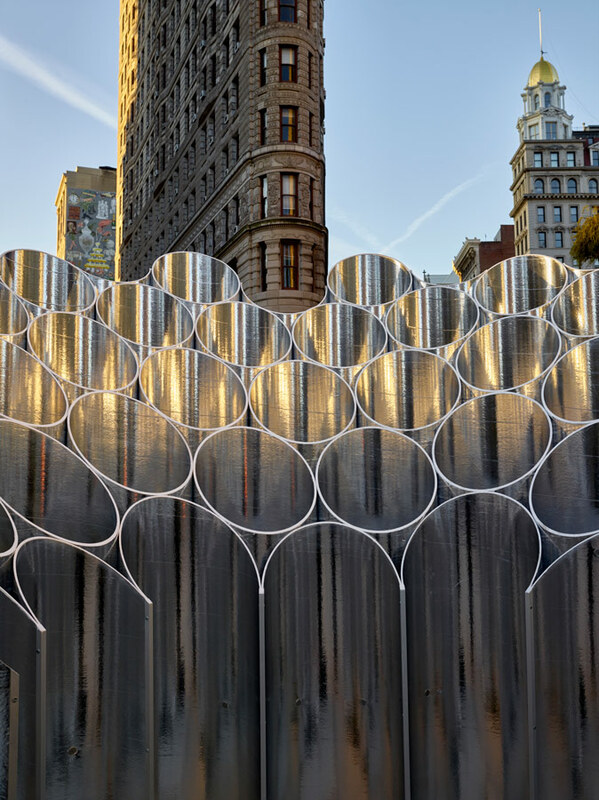 If you’re craving holiday cheer in Manhattan, Brooklyn-based Future Expansion’s festive seasonal installation in the Flatiron is now open. 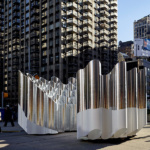 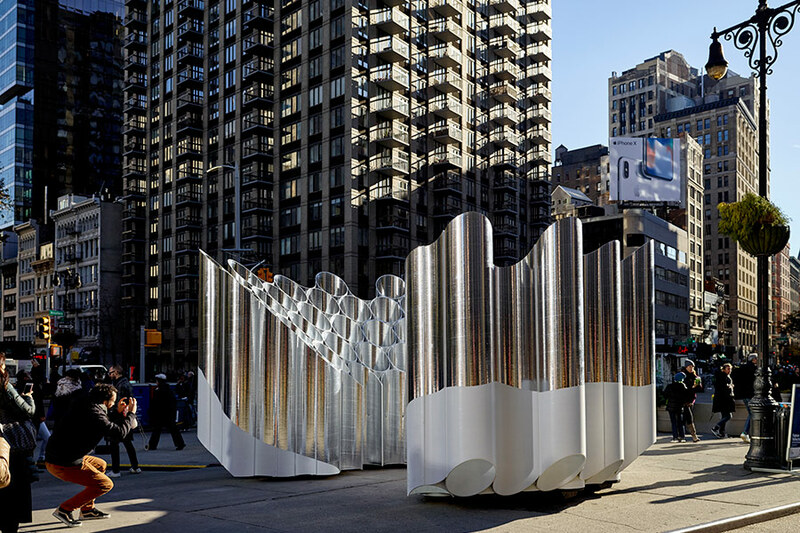 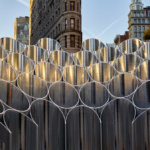 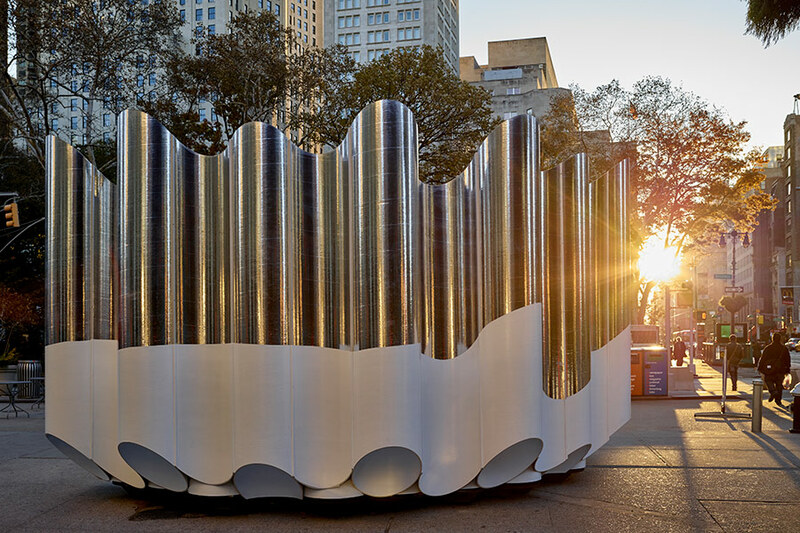 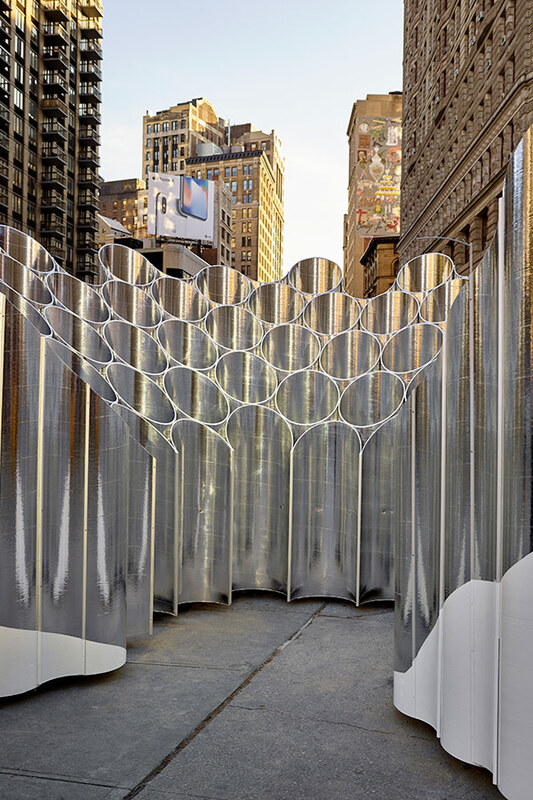 Urbanist nonprofit and installation co-sponsor Van Alen Institute unveiled the winning design in October, and it recently released images of Flatiron Reflection, the final design by winner Future Expansion, comprised of shimmering semi enclosure of metal tubes and sited across from the Flatiron building. 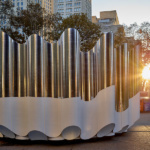 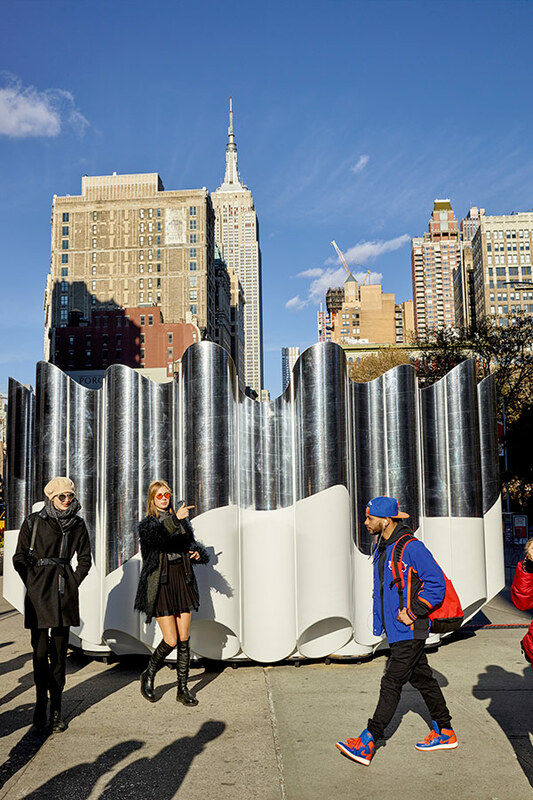 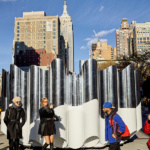 The installation resembles a public pipe organ, with a white base that floats above the ground. 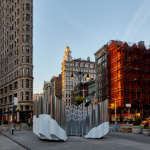 Niches on the outside are meant for close huddles, while the interior allows for quieter contemplation of the busy 23rd Street intersection near Madison Square Park. 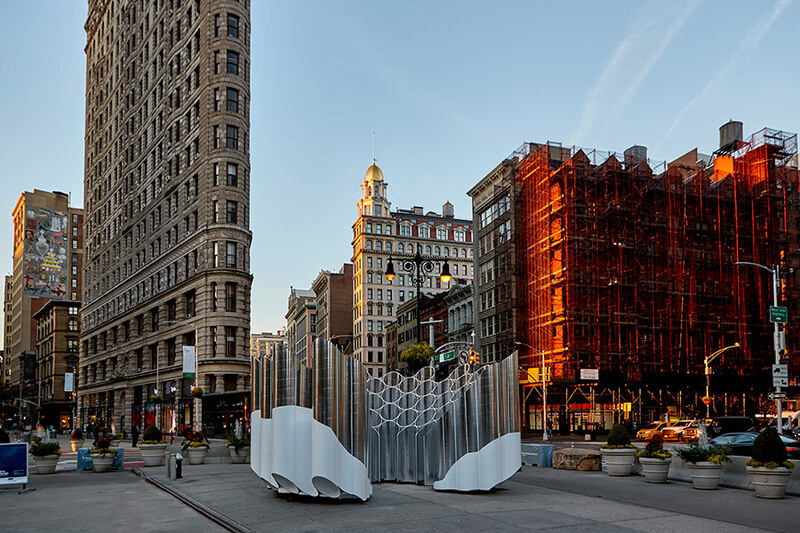 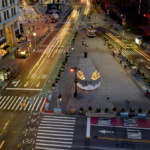 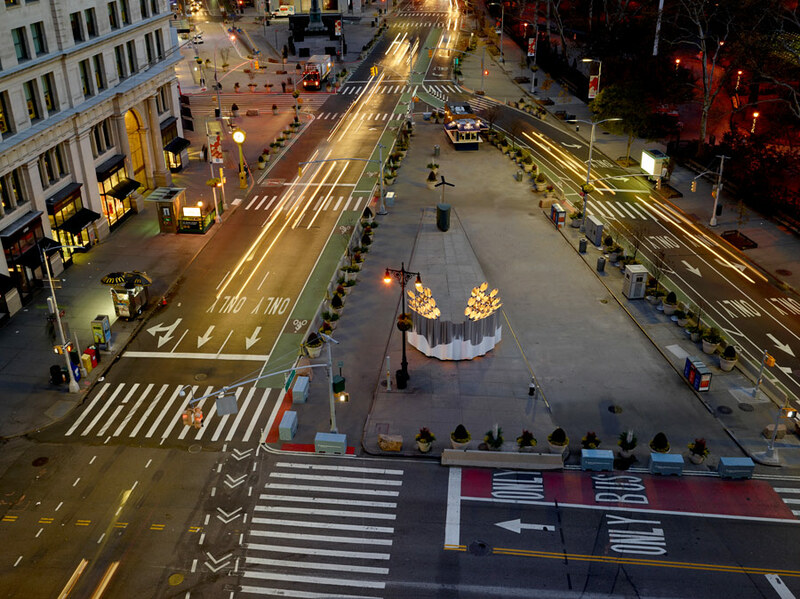 Future Expansion’s installation is the fourth in the Flatiron Public Plaza Holiday Design Competition, an annual event produced in collaboration with the Flatiron/23rd Street Partnership, the neighborhood’s Business Improvement District (BID). 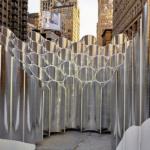 The project is permitted through New York City Department of Transportation’s DOT Art program, and is free and open to the public daily through January 1, 2018, weather permitting.